Veteran film actor and former child star Corey Feldman will be making an appearance at Pfitzner Stadium on Saturday, August 1st to complement a “One-Eyed Willie” Bobblehead giveaway to the first 2,000 P-Nats fans through the gates at The Pfitz commemorating 30 years since the release of one of his hallmark motion pictures. Feldman will be meeting and greeting the Potomac Nationals’ faithful while signing free autographs both pre-game and during the P-Nats’ 6:35pm tilt with the Salem Red Sox (Boston). Gates to the Home of the Potomac Nationals will open at 5:00pm and Feldman will toss the ceremonial first pitch of the affair. 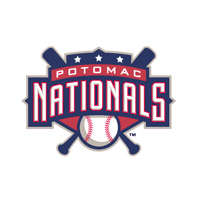 The Potomac Nationals are pleased to announce Feldman’s band, Corey’s Angels will also be performing a post-game concert in the Pfitzner Stadium F.H. Furr Café following the completion of the contest. Feldman’s hit single, “Ascension Millenium” first premiered on MTV in July of 2013 and within the first 12 hours of its release, the song gained “MTV Buzzworthy” status. “We are extremely excited to have Corey on hand at The Pfitz to meet P-Nats fans and perform his music after our game. Corey Feldman has been great to work with in preparation for this event, and our fans have shown their enthusiasm towards meeting Corey as we are nearing a capacity crowd,” said Potomac Nationals Executive Vice President/General Manager, Josh Olerud. Feldman is most well-known for his youth roles in cult-classic films such as Friday the 13th: The Final Chapter(1985), The Goonies (1985), Stand by Me (1986), The Lost Boys (1987), and Teenage Mutant Ninja Turtles(1990). Feldman’s memoir, Coreyography was published on October 29th, 2013.